The Royal Ballet owes its existence to the vision of Dame Ninette de Valois, dancer, choreographer and entrepreneur, who assembled a small company and school, the Vic-Wells Ballet, and, in 1931, persuaded Lilian Baylis to provide it with a home at the Sadler’s Wells Theatre in North London. (The Company also performed at the Old Vic Theatre, hence its original name). They remained at Sadler’s Wells Theatre until 1939 and spent the war years touring widely in Great Britain and, to a lesser extent, in Europe, performing for the Allied troops. Immediately afterwards, in February 1946, they transferred to the Royal Opera House, premiering a new full-length production of The Sleeping Beauty to reopen Covent Garden as a lyric theatre after its war-time closure. In 1956, to mark its 25th anniversary, the name The Royal Ballet was granted by Royal Charter. 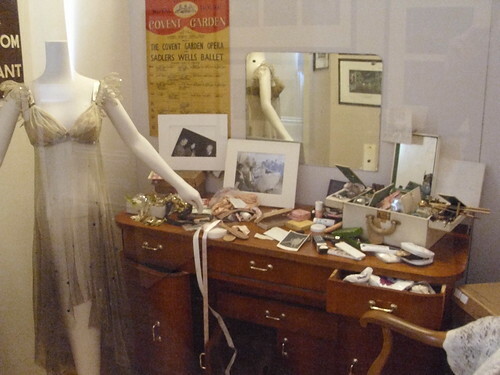 The 15 May 2006 was the 75th anniversary of The Royal Ballet. The Company marked this occasion with a recreation of The Sleeping Beauty. In December 2006, following the award-winning success of Chroma, Wayne McGregor was appointed The Royal Ballet’s Resident Choreographer. In April 2007, conductor Barry Wordsworth was re-appointed Music Director for the Company. Monica Mason was created a Dame Commander for her services to dance in the Queen’s Birthday Honours List published on 13 June 2008. She became Director of The Royal Ballet in December 2002 and was succeeded by Kevin O’Hare in 2012. That year saw a further two appointments to The Royal Ballet, both from former students of The Royal Ballet School and now acclaimed choreographers: Christopher Wheeldon as Artistic Associate and Liam Scarlett as Artist in Residence. From the start of the 2015/16 Season conductor Koen Kessels took over as Music Director, while Wordsworth continues as Principal Guest Conductor.